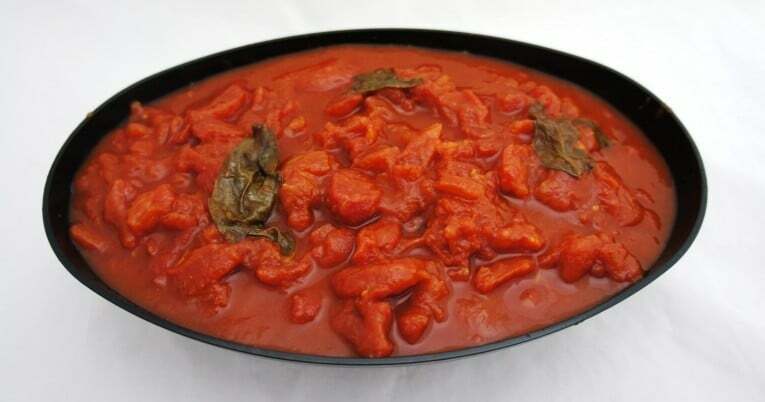 Pear peeled tomatoes in puree with fresh leaf basil are randomly cut to resemble home prepared chopped tomatoes. A great starter base for many red sauces, excellent yield with a minimum of 75oz drain weight. Made from fresh California, vine ripened pear tomatoes. With basil for added sweetness. Light flavorful puree. High yielding with puree. Sweet tomato flavor. Very economical option. Salsa tomato base, Soups, Chili, Cioppino.